When the Dream Team who invaded the basketball world was formed in 1992, Jordan Brand went with the flow and released some dream-team inspired shoe like the “charcoal” edition of the Air Jordan 7, which is set to make a return this year. 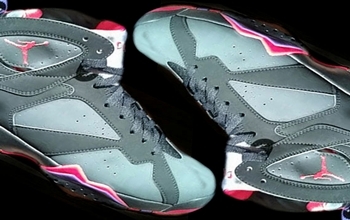 The Air Jordan 7 “Charcoal” is also known as the “Raptor” edition mainly because of the fact that its colorway is the same as the Toronto Raptors team color, but it was actually released three years before the Raptors entered the NBA. This silhouette looks as impressive as the original one so make sure to grab a pair when it hit the market on September!